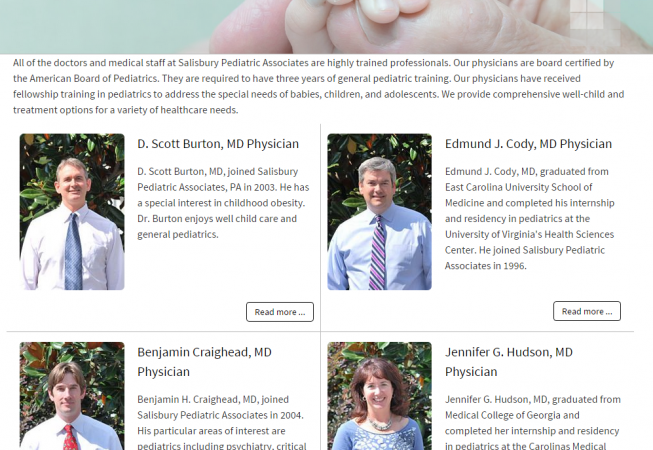 All of the doctors and medical staff at Salisbury Pediatric Associates are highly trained professionals. 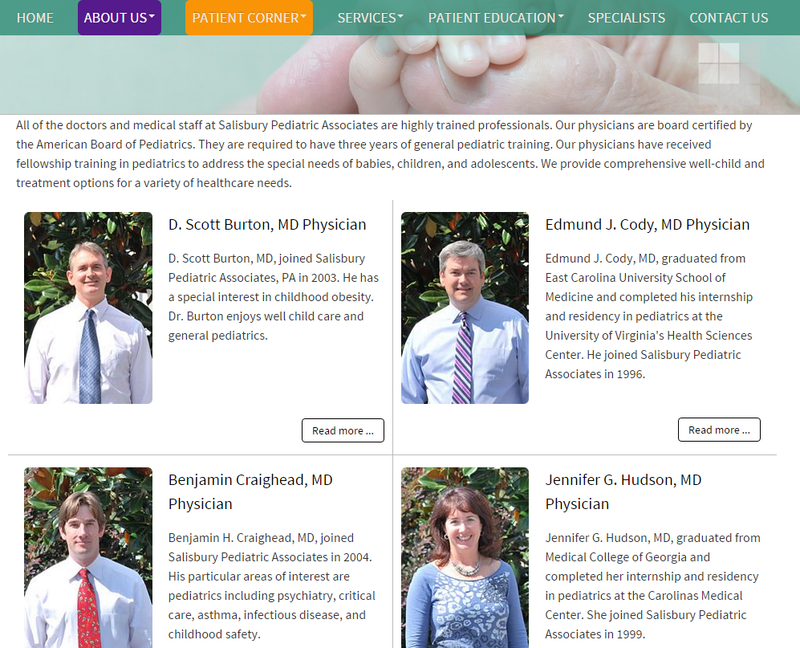 Their physicians are board certified by the American Board of Pediatrics. Their providers are trained to address the special needs of infants, children, adolescents, and young adults. 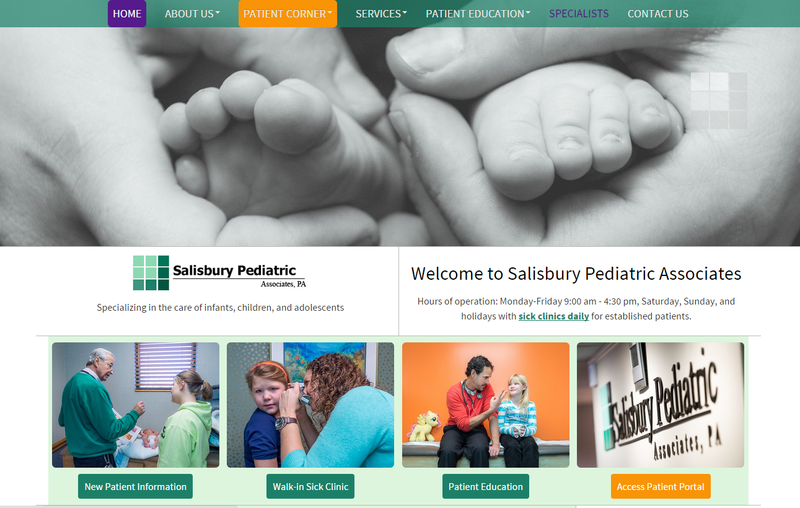 We provide comprehensive well-child care and individualized treatment options for a variety of healthcare needs. 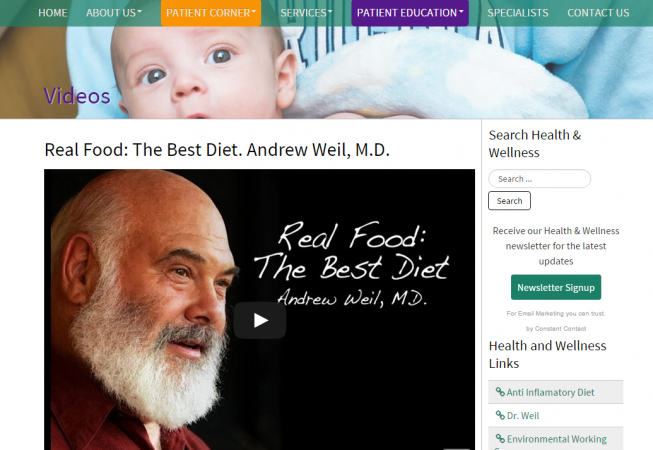 Many of their providers have received advanced training in integrative and functional medicine from prestigious institutions like the University of Arizona’s Integrative Medicine fellowship. 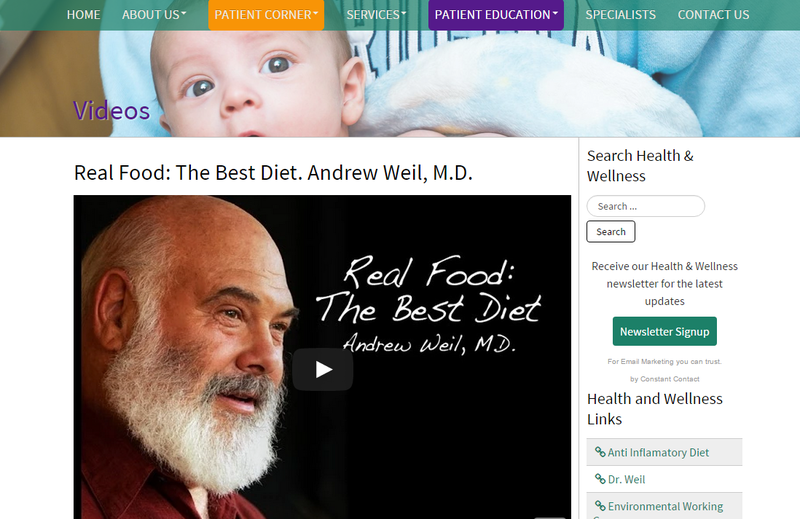 Our team is uniquely poised to provide cutting edge medicine and preventative care. Urban Driftwood was contracted in early 2015 to completely redesign and update their website while keeping with the Joomla CMS solution of their previous site designed by a different firm. 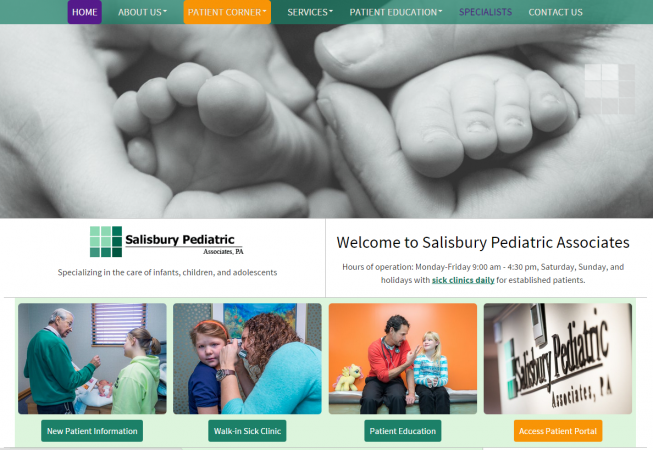 We partnered with a Salisbury-based professional photographer, Photogator: Sean Meyers Photography, to capture compelling and updated imagery for the site. 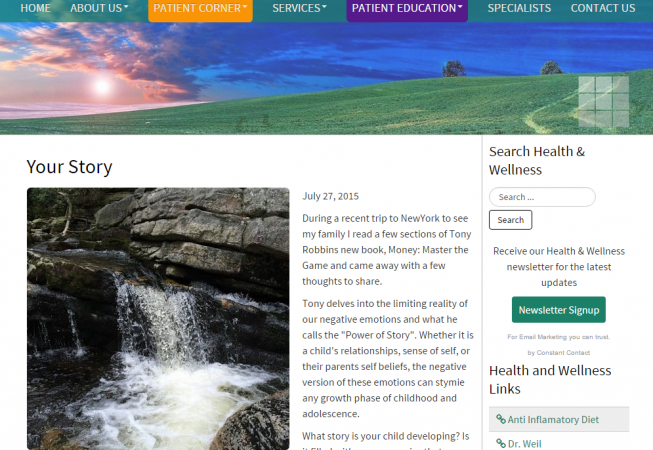 One important client goal was to draw attention to the Patient Corner/Patient Portal. We designed a template color palette that incorporated a warm orange and rich purple to accent their monochromatic green logo and assist with drawing attention to key content areas.